(1) CORTANA’S WRITERS. The Financial Times’ Emma Jacobs, in “Robots replacing our jobs? Microsoft’s Cortana is creating them”, interviewed Joanthan Foster, principal content publishing manager for Microsoft’s Cortana, who oversees a staff of 28 (including a children’s novelist and a playwright) tasked with giving this personal digital assistant a personality. How to access this article – Look it up on Google and you will be able to click through to read it. If you use the link above directly, you will hit a paywall. (2) ASTRONAUT FASHIONS. Washington Post reporter Christian Davenport, in “A first look at the path NASA astronauts will walk when the U.S. launches humans into space again”, has an overview of activities at Cape Canaveral, with reports on activities by Boeing, Blue Origin, Moon Express, and SpaceX. But the news here is about the Boeing spacesuits. 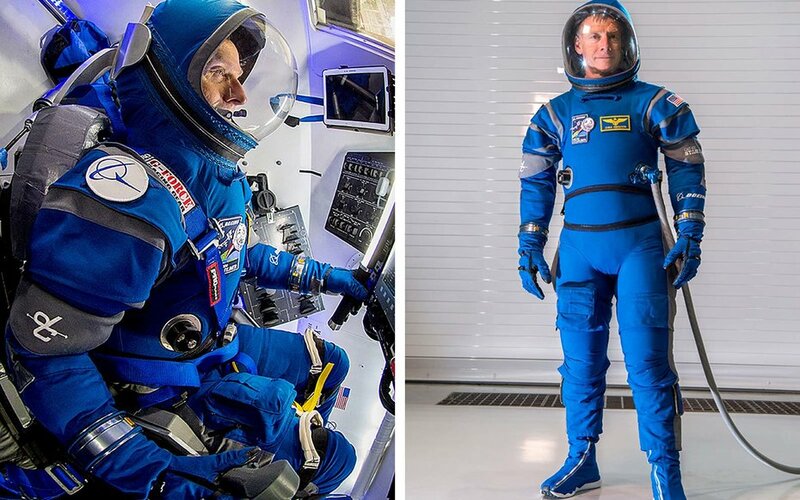 Then there’s the sleek new blue Boeing spacesuit that, at 20 pounds, weighs 10 pounds less than the one worn by shuttle astronauts. It comes with gloves that work on touch screens and lightweight boots designed by Reebok that feel like slippers. Instead of having a huge fishbowl bubble helmet, as the shuttle astronauts’ suits did, the new suit’s helmet slips over the head like a hood. (3) MOVING POSTERS. Disney released a collection of motion posters featuring the cast of the upcoming live-action adaptation of Beauty and the Beast. UPI has the story. (4) FANTASTIC FICTION AT KGB. On February 15 the hosts of the reading series, Ellen Datlow and Matthew Kressel, will present Michael Cisco and Nicholas Kaufmann. Begins 7 p.m. at the KGB Bar. Michael Cisco is the author of several novels, including The Divinity Student, The Narrator, The Great Lover, Animal Money, The Wretch of the Sun, and a short story collection, Secret Hours. His fiction has appeared in The Weird, Lovecraft Unbound, and Black Wings (among others). His scholarly work has appeared in Lovecraft Studies, The Weird Fiction Review, Iranian Studies, and Lovecraft and Influence. He lives and teaches in New York City. Nicholas Kaufmann’s work has been nominated for a Bram Stoker Award, a Thriller Award, and a Shirley Jackson Award. His novel Dying is My Business from St. Martin’s Press was selected for the Los Angeles Times Holiday Book Gift Guide, and the sequel, Die and Stay Dead, received a starred review from Publishers Weekly. His latest novel is In the Shadow of the Axe, out now from Crossroad Press with an introduction by Laird Barron. Your Amazon.com account will not be affected by the closure of Write On. If you don’t have any content you wish to save, no further action is required on your part. If you do have content you wish to save, we encourage you to download your posted and drafted stories by March 22. … He earned his first BAFTA award in 1976, for playing gay author and ranconteur Quentin Crisp in the TV film The Naked Civil Servant; that same year, he played notorious Roman emperor Caligula in the TV film classic I, Claudius. As a trained actor with a resonant voice and an unmistakable screen presence, Hurt could be a leading man—as in the 1984 version of George Orwell’s 1984 and David Lynch‘s The Elephant Man—but may be more familiar to audiences as a supporting player, from the first, unlucky victim of the chestburster in 1979’s Alien to 2016’s Jackie, in which he plays a priest who has the ear of a mourning Jacqueline Kennedy. He earned Oscar nominations for his roles in 1979‘s Midnight Express, as a heroin addict doing time in a Turkish prison, and in The Elephant Man. He’ll also be remembered by a generation of children as the mysterious Mr. Ollivander, wand salesman, from the Harry Potter films. 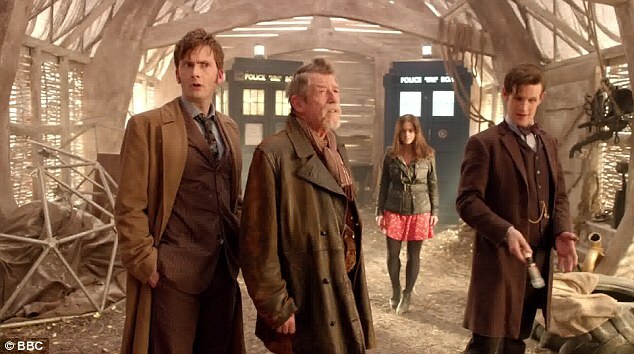 And thanks to a 2013 appearance as the War Doctor on Doctor Who, he will also forever belong to a legion of fans. In the last decade of his career alone, Hurt worked with some of the world’s most fascinating directors, from Guillermo del Toro in the Hellboy series to Steven Spielberg on Indiana Jones and the Kingdom of the Crystal Skull to Lars von Trier on Melancholia to Joon-ho Bong on Snowpiercer. — To which we can add The War Doctor in Doctor Who, the voices of Aragorn and Hazel (the rabbit) in the animated Lord of the Rings and Watership Down respectively, and still be guilty of leaving some out. David Tennant, John Hurt, Matt Smith. (7) GARRAY OBIT. Artist Pascal Garray (1965-2017), a prolific Smurfs creator, passed away January 17. During his career of 26 years, he also participated in the creation of 17 albums of ‘The Smurfs’ (‘Les Schtroumpfs’), and was the lead artist on at least six albums since 2002. The other regular Smurfs artists are Ludo Borecki, Jeroen de Coninck and Miguel Díaz Vizoso, while most of the writing is done by Thierry Culliford, Alain Jost and Luc Parthoens. Garray had just finished drawing the 35th Smurfs album (‘Les Schtroumpfs et les Haricots Mauves’, about bad eating habits), when he passed away on 17 January 2017. (9) RSR’S GUIDE TO SHORT FORM EDITORS. Greg Hullender of Rocket Stack Rank introduces its recently-posted guide to those eligible for the Best Editor Hugo – Short Form category. With luck, this won’t be as controversial as it was last year. We’ve made it clearer that you’re supposed to use this data to vet a list of editors of works you’ve read—not to construct a slate of people whose publications you’ve never read (or even heard of). Since people are more likely to know works than editors, we start by helping them find the editors who produced different publications. It’s a lot of work to figure out who’s qualified, so we’ve done that too. Then, like last year, we show how much work each editor produced and how well that work was reviewed—both in terms of word count and percentage, which we encourage people to use to see how the editors in their list stack up. New this year is a chart showing how much fiction from new writers each editor published, since this was the commonest thing people asked for last year. There are also sortable tables with the raw data so people don’t need to stare at charts to try to guess which editors were in the top four or five. As ever, we’d love to hear ideas for what would make this easier to do. (10) SEMIPROZINE HUGO. Neil Clarke’s Semiprozine.org announced last month they are “Currently updating directory”, which hopefully will happen soon because I need an authoritative answer to settle a difference of opinion! We are currently updating the directory to reflect any changes in eligibility for the year ending December 31, 2016. Feel free to comment on this post if you have questions. (11) COACHING. George R.R. Martin reminds everyone how TV shows can be eligible for the Best Dramatic Presentation Hugo – Long Form, whether you want them to or not. 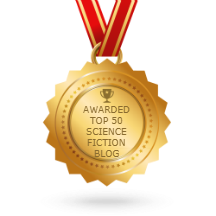 This is truly the Golden Age for science fiction and fantasy on television, with more interesting series than ever before… most of them serial dramas. WESTWORLD, for instance. Terrific show. But the entire season is one story. To me, it makes no sense to pick an episode at random and nominate it in Short Form, when every episode depended so much on what had come before and what was to follow. I will be nominating WESTWORLD season one in Long Form, and I urge other WESTWORLD fans to do the same. Then we have STRANGER THINGS, recent Golden Globe nominee, another cool new genre show… I loved the series, but looking back, did I love one episode? No, I loved the whole story, so I’d nominate STRANGER THINGS, season one. Ditto for PENNY DREADFUL, the final season, which wrapped up in fine style last year. You could also make a case for MR. ROBOT, if you consider that sf. And, of course, there’s GAME OF THRONES. Our sixth season won an unprecedented number of Emmys, setting an all-time record. And there are individual episodes that won Emmy acclaim: David Benioff and D.B. Weiss won for writing for “Battle of the Bastards,” Miguel Sapochnik took the directing Emmy for the same episode, and “The Door” also earned a directing nomination for Jack Bender. But it was the season as a whole that won for Best Drama, and for me, at least, it makes the most sense to nominate GAME OF THRONES, season six, in Long Form. (12) GREATEST ANIMATOR. Brian Phillips on MTV.com has an article called “The Little Gray Wolf Will Come”, a profile of Yuri Norstein, whose short films “Tale of Tales” and “Hedgehog in the Fog” are regarded as among the greatest pieces of Soviet animation but who has been stuck for 40 years working on a full-length version of Gogol’s The Overcoat that he may never finish. Here he is, an old man, onstage at the Dom Kino. Cinephiles of Moscow, your evening’s entertainment: Yuri Norstein, 74, white-bearded, small, stout, urbane, rumpled, and mischievous. Sitting in front of a pale gold curtain, with a bump on his nose the size of a pistachio shell. Considered by many to be a great, if tragically self-defeating, Russian artist. Considered by many to be the finest animator in the world. He did not move to Moscow last week; he knows what they say about him. How he sabotaged his own career at what should have been its peak. How he has not managed to release a new film in 37 years. How he made Hedgehog in the Fog, a movie every Russian child knows by heart, and then Tale of Tales, which international juries have more than once named the greatest animated picture ever made. How he threw it all away to chase an absurd, unattainable ideal, an animated adaptation of Gogol’s short story “The Overcoat” that he has toiled at for nearly 40 years and has never been able to finish. He takes questions at events like this, and the sequence is always the same. First a few respectful queries about his past work, his process, his inspirations. Then, when some brink of nerve has been crossed: When will you finish The Overcoat? Do you think you ever will? (13) TIMEY-WIMEY STUFF. Science Alert says “Scientists have confirmed a brand new form of matter: time crystals”.